In our little town we watch the crane put the Lobster on the top of our Christmas tree each year. 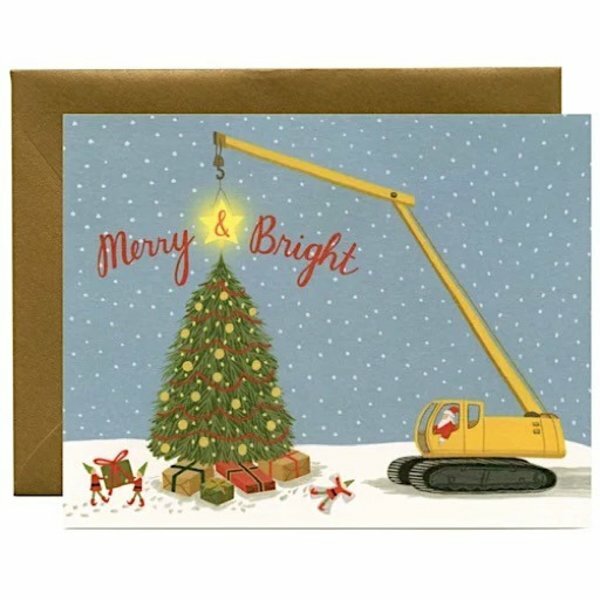 We thought this card by Yeppie Paper was so sweet with Santa driving the truck and placing the Ampersand just so on the top. Blank interior. Comes with envelope.